Just Add To Pet's Water! 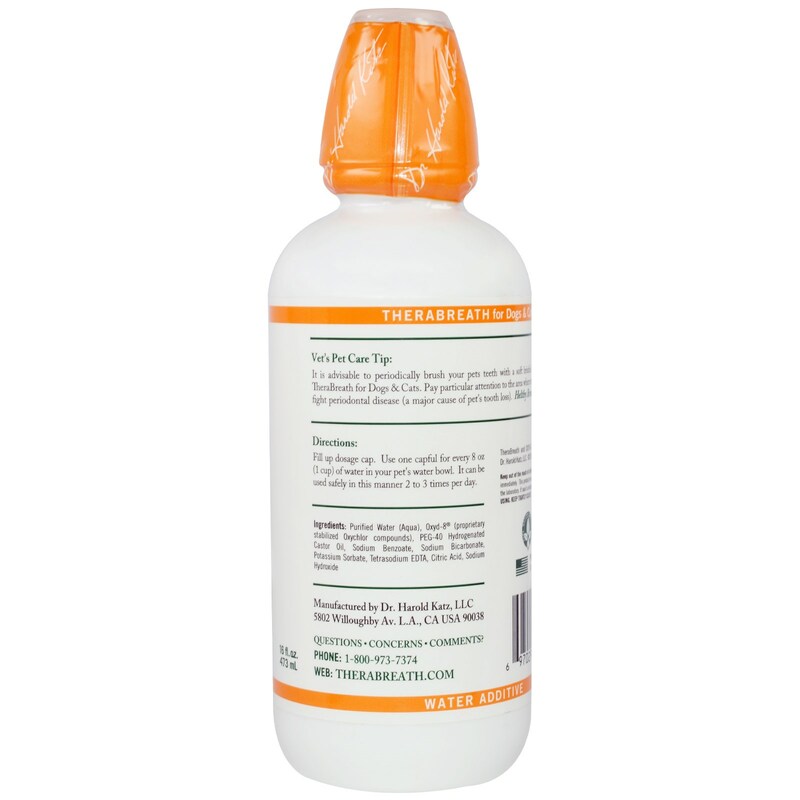 Keeps Teeth Cleaner and Gums Healthier! It is advisable to periodically brush your pets teeth with a soft bristled toothbrush soaked in TheraBreath for Dogs and Cats. Pay particular attention to the area where teeth meet gums to help fight periodontal disease (a major cause of pet's tooth loss). 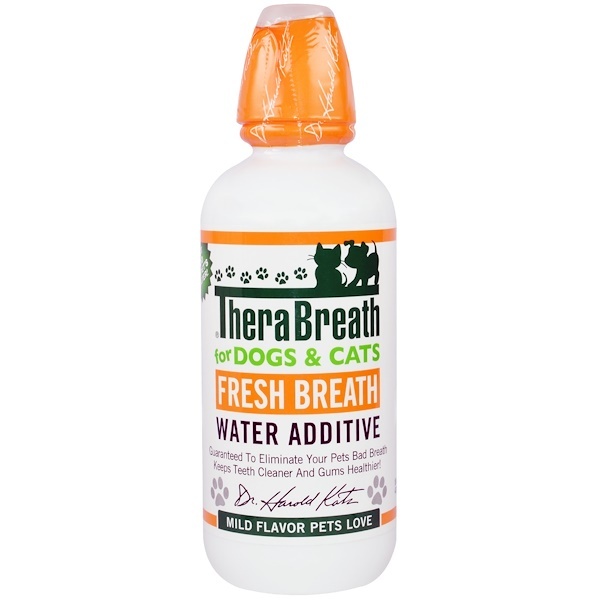 Healthy Breath for Healthy Pets! Fill up dosage cap. Use one capful for every 8 oz. (1 cup) of water in your pet's water bowl. It can be used safely in this manner 2 to 3 times per day. Purified water (aqua), oxyd-8 (proprietary stabilized Oxychlor compounds), PEG-40 hydrogenated castor oil, sodium benzoate. sodium bicarbonate, potassium sorbate, tetrasodium EDTA, citric acid, sodium hydroxide.